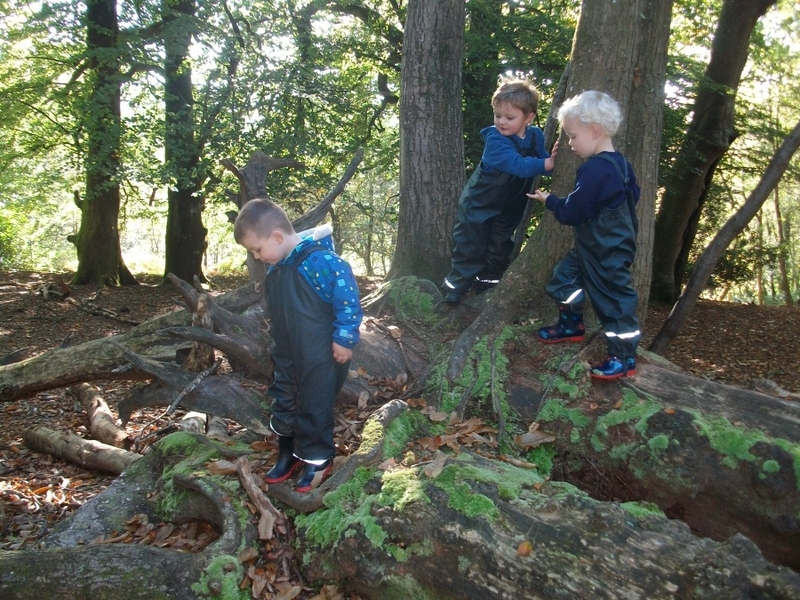 The first sessions focus on staying safe while exploring the natural environment, but still allow the children the independence of having shared experiences with friends. 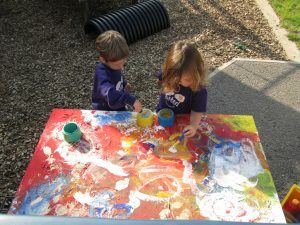 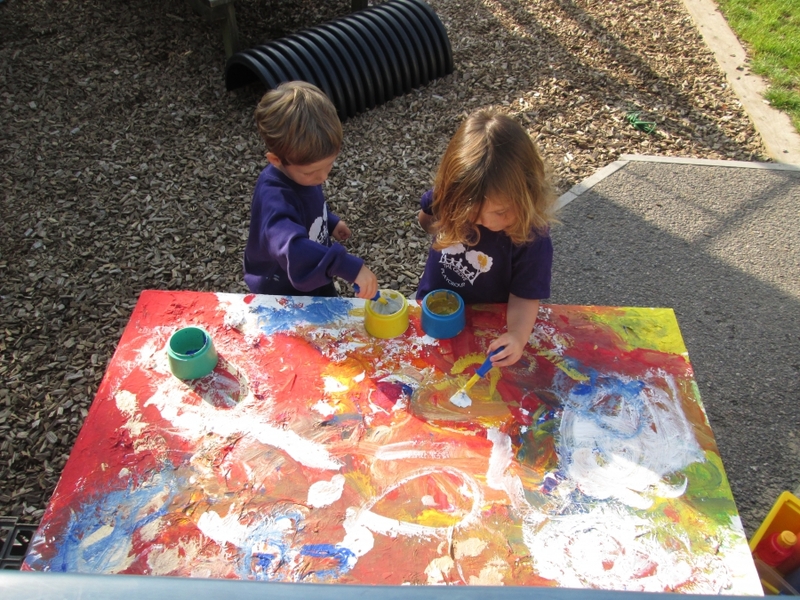 Using the story of Elmer the Elephant, the children painted colourful patterns on a canvas to create a large picture of Elmer for the Playroom. 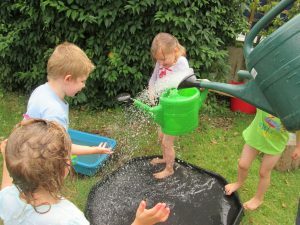 July 2015 has been such a hot summer and the best way to cool down was with water! 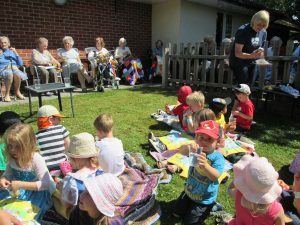 We have strong links with Maiden Castle House residential home. In June we took a group to sing songs, meet residents and have a teddy bear themed picnic. 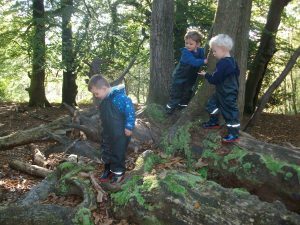 It is a favourite way for us to be part of the wider community. In contrast to the Carnival, on 26th June 2015, we celebrated International Mud Day (a real event) in true Grove style! On 20th of June we took part in Dorchester Carnival. 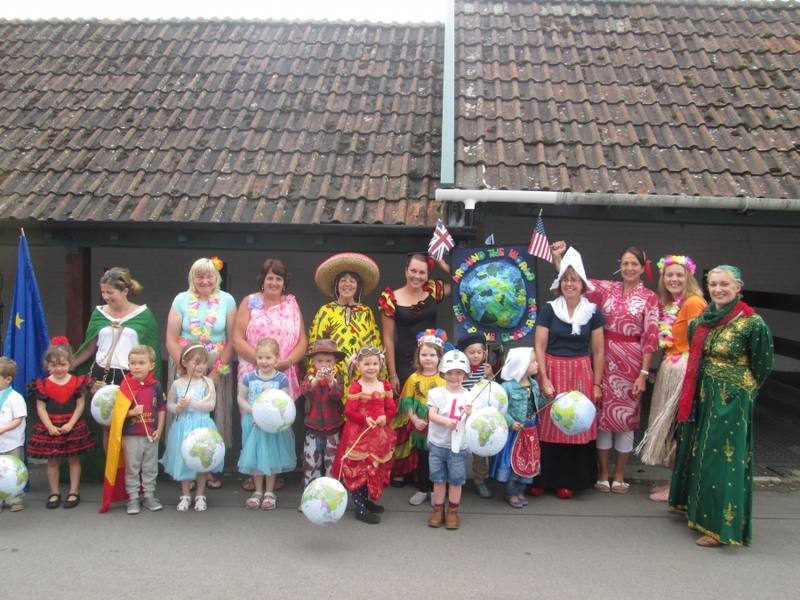 the theme was Around the World – and the children were a colourful walking float in this community event. 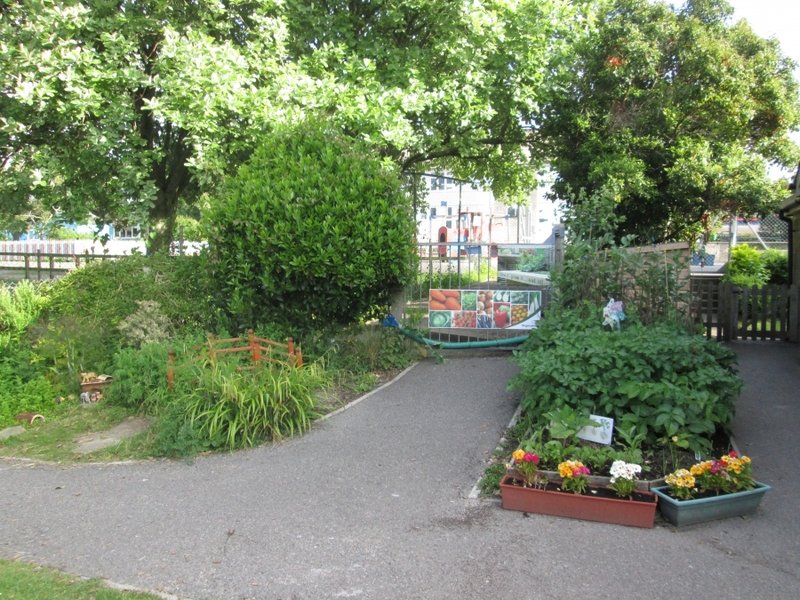 All the hard work of planting and caring for the plants is reaping rewards! 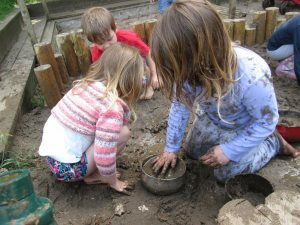 The children take responsibility for checking the plants and understand the importance of watering them to make sure the vegetables grow.